The 2019 Budget debate which has been interesting thus far will wrap on December 7, 2018. The Administration, with the belief that it is saving the best for last, will put up its heavyweight speaker, First Vice President and Prime Minister, Mr Moses Nagamootoo up to bat. He will try as best as he can to offer a defence for what clearly is an indefensible budget. The Prime Minister who is, in my mind, really less than a featherweight in the Government will expectedly sing lustily and boisterously for his $70,000 per day supper while our ordinary workers will take home $64,200 per month. Mr Nagamootoo, in his own words, will seek to charm the Guyanese people like the famed snake-charmers of India. He will tell our people that he and his Government are doing wonderful things for them; he will tell them better will come and he may very well tell us we will become the Emiratis of Latin America. The Prime Minister, true to form, may also repeat to the sugar workers that he loves them though 7000 have been put out of jobs; the rice farmers may hear how he cares for them though he lost them their most lucrative market, and the farmers may hear how he has their well-being at heart though his Administration has raised land rents and D&I charges. Let us also expect tangential explanations about the hardships he imposed; and the launching of personal attacks on those he deem his opponents, as he reminisces about yester-year while ignoring the realities of today. Surely, he must eulogise his Budget innings in his Sunday Chronicle column and his DPI, true to form, will promote his remarks as the best thing ever. 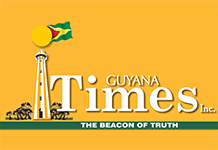 But after all of that, the fact remains that the Prime Minister will not be able to convince many Guyanese people that he is sincere in what he said. Today, the Prime Minister’s naked political behaviour is there for all to see and evaluate. Today, he sits near to the apex of power, though he deeply wants to reach the pinnacle. He should ask himself why he’s the proverbial bridesmaid and never the bride. Today, Mr Nagamootoo presides over a land and people that feel oppressed and unsure about the future. Today, he occupies a place in the most expensive Government in history. Today, while he believes he is the star of the show, he really is not well-liked. Today, Mr Nagamootoo has betrayed all his ideals – his so-called Jaganite-principles – and his roar has become less than a whimper as he participates, advocates and approves willingly measures that punish rather than reward the Guyanese people.